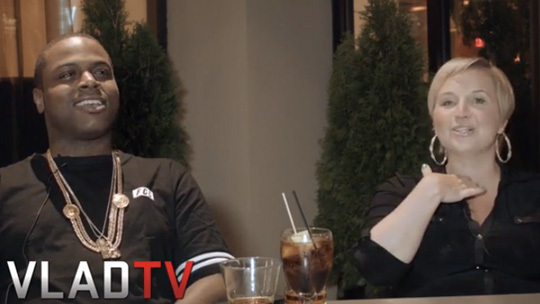 Carrying on with his interview with Jenny Boom Boom for Vlad TV, Jae Millz speaks on himself and others who have been signed to Young Money for 7 years or more and still not released an album on the label. Jae also discusses his upcoming debut studio album called Nothing Is Promised, Bobby Shmurda, Drake‘s type of songs, Young Thug‘s type of songs, why he had no features from his YM label-mates on his latest project Potent Music 2, the “Drake vs. Lil Wayne” tour, how Wayne has been picking songs for his forthcoming Tha Carter V album, and more. You can watch the interview after the jump below. Click here to watch part 2 and here to watch part 1 of Millzy‘s interview with Jenny! Above, you can check out Tim Westwood‘s interview with Jae Millz while he was in the UK recently. They speak on how he got signed to Young Money, Lil Wayne, Miguel, his upcoming Nothing Is Promised album, and more. Peter Bailey from NBC Nitecap sits down with Jae Millz in Miami at South Beach Studios. They talk about moving from New York to Miami, Chris Brown and the “Green Gobblin” record, his upcoming Nothing Is Promised album, nearly dying in a seizure last year, XXL’s Top 10 Freshman list, and more. Jae Millz recently took part in an interview segment with Joy Daily and Waheeda for the Joy Daily Show. Millzy talks about his upcoming Nothing Is Promised album, the mixtapes he released this year, his near death experience, the internet, Soulja Boy and more. In the video above, you can watch part two of Jae Millz‘s interview with Cherry Martinez where he talks about Kat Stacks, groupies and his upcoming album dropping in 2011 called Nothing Is Promised. Spotted at Forever Millz! PMS Radio caught up with Vado and Jae Millz at the Celebrity Strikeout event hosted by Ed Lover at Harlem Lanes to discuss their upcoming projects/mixtapes. Jae announces that he is working on his album which will drop in 2011 called “Nothing Is Promised“, and he will release “The Virgo Part 2: He Still Nasty” (a mixtape for the ladies) at the end of this month.